It’s the end of the work week and we all want to get away. Whether you have the big bucks to get on a plane or you just take off to the dreamscape in your mind, “Friday Fly Away” is here to inspire you. Each week, I’ll share a destination we can escape to. 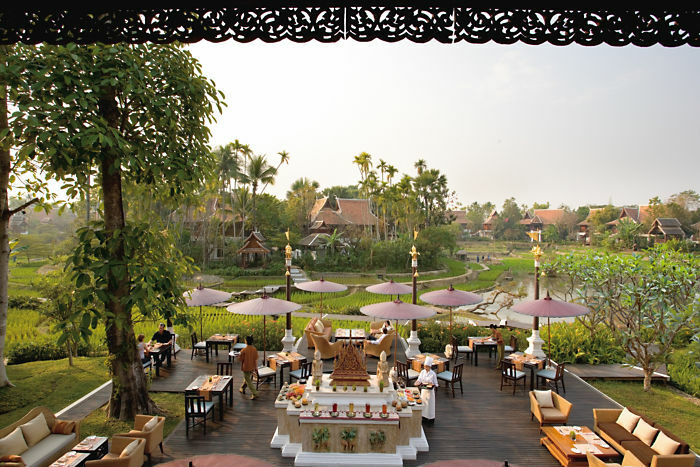 Today, we are off to the tranquil Mandarin Oriental, Dhara Dhevi in Chiang Mai, Thailand. 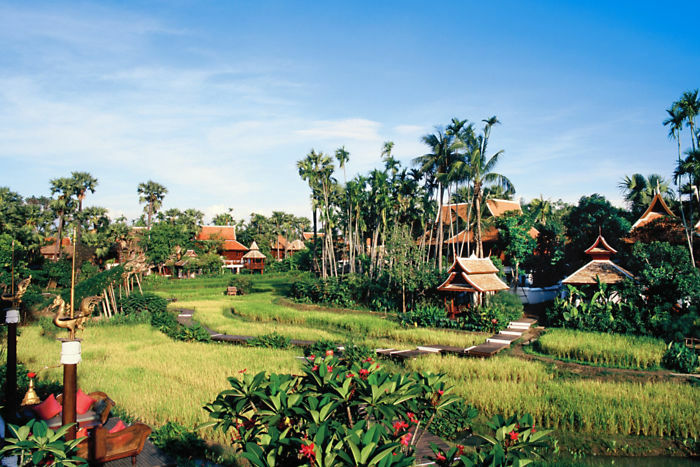 Set on 60 acres of lush paddy fields, it’s a feast for the eyes and the soul. Your room is waiting in the Grand Deluxe 2 Bedroom Villa where you can lounge by your private pool. All your cares will long be forgotten when you visit the world-class spa. We can catch up over a meal on the terrace. I hope you’re enjoying yourself as much as I am. I don’t think I want to leave. I encourage you to get lost in your dreams and try to make as many of them as possible, a reality! Enjoy the flight and I’ll see you next Friday. Wonder where we’ll go?